It’s been a week since Terry Pratchett passed, and I have still failed to write about it. The news upset me more than I would have anticipated, given that I have not even seen Terry since 1999. I have a closer relationship to Rhianna, his daughter: we’ve made games together, and meet up for a chat whenever we get the chance. The extent of my engagement with Terry was merely that I worked at a company making games in his Discworld universe. But then, Terry was the first editor I worked with, and also the best of them all. I not only learned a tremendous amount from him, but in many respects he was the foundation of my career as a game designer and writer – if it had not been for the critical success of Discworld Noir, I could not have founded International Hobo. Erasing Terry from my life would be destroying all that I am and leaving only the wispy aspirations and tedious angst of the person I was before I started work at Perfect Entertainment. Yet, I have failed to write my farewell. At heart, my problem is that I feel like a fake drawing on my repertoire of Pratchett anecdotes to wax lyrical about a man I was privileged to work with but could never actually know. I feel as if writing about these experiences would be the act of someone desperate to garner fame from proximity – it would solidify my position as an H-list celebrity while exposing my insignificance; the shadow, glibly praising itself for its proximity to the flame. I feel certain I will write about my experiences with Terry at some point, but I cannot do it now without feeling worse than I already do. I will say goodbye to Terry some day, but it seems I cannot do it today. Yet I can already thank him, as I did in the last letter I wrote to him, for having such an extraordinarily positive effect on my life. And I will miss him, even though he was never really there. This, I suppose, is the effect that any great writer has through their work. Cross-posted from ihobo.com, please leave comments at the obituary there. On Tuesday 22nd February, actor Nicholas Courtney passed away in London at the age of 81. Courtney, who had been living with cancer for many years, is most famous for his role as Brigadier Lethbridge-Stewart (pictured) in the British science fiction series Doctor Who, performing with five of the different actors to play the title role. Tom Baker, who played the Doctor with Courtney in the 1980s, said "we shall miss him terribly". 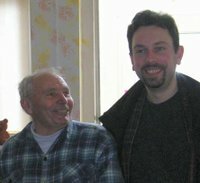 I recently learned that on August 26th this year (2010), Father Raimon (Raimundo) Panikkar passed away at his home in Tavertet in Spain at the age of 91. Although I never met the man, I found his writing and ideas to be truly inspirational. Panikkar viewed himself equally as a Hindu, Buddhist and a postmodern secularist as well as being an ordained Roman Catholic Priest, all without a trace of contradiction. His scholarship was animated by a desire to build (rather than burn) bridges between different forms of belief, a spirit that also sustains my own writing on religious topics. I will not say that he will be missed, since I rather suspect that most of us have only just begun to find him. Father Raimundo Panikkar, November 3, 1918 – August 26, 2010. Corvus announced yesterday that he was closing Man Bytes Blog, after nearly five years of publicly pondering the relationships between stories and games. He's not giving up blogging - a new blog will appear in 2010 - but he's scaling it back to something smaller and simpler. It seems that change is in the air at the moment, as a huge number of people are reassessing their relationships with their blogs this winter. I started to reconsider my blog situation in September, and many other bloggers are in a similar boat right now. Among the many factors at work here perhaps a key issue is that intensive blogging is easy to do when one starts - when the thrill of the new keeps the endeavour buoyant - but harder to maintain for any length of time. In some respects, a lively blog might be (like the original assignment of the starship Enterprise) a five year mission, at most. However, I also suspect that it is Twitter which is causing a lot of the reconsideration right now, as Matt Mower muses in his contemplation of exiting the blogosphere. Whatever the reason, I wanted to take the time to say a fond farewell to Man Bytes Blog, which as one of the first blogs to collide with Only a Game has a special place in my heart. Back at the beginning, Corvus and I were exploring similar thoughts concerning narrative in games but in entirely conflicting terms, and it was fascinating to argue with him about it. Alas, I now find narrative in games to be something I deal with solely in my work and have little to say about it in my free time. Corvus, on the other hand, remains dedicated to exploring his vision of the possibilities of collaborative storytelling, and it pleases me that he has not been dulled in his fervour by his practical experiences of the videogames industry. The Blogs of the Round Table, which Corvus has run diligently for so long, has been a high point of my videogame blogging experience. Another blog is apparently going to take it over, which is good news, but since my blogging is increasingly philosophical and decreasingly videogame-oriented I will take this juncture as an opportunity to exit the table, and thank everyone who participated with me - in posts or comments - in the fascinating discussions that the Round Table has thrown up over the years, and especially to Corvus for being our virtual King Arthur for so long. Farewell Man Bytes Blog, and best of luck to Corvus in all his future endeavours! 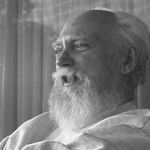 Robert Anton Wilson, the infamous Discordian intellectual and guerilla ontologist, passed away on Thursday 11th January 2006, one week before his 75th birthday, as reported in his blog. I had the great pleasure of hearing him talk in London, at a special event where he and fellow eccentric Richard Bandler provided a scintillating evening of alternative thinking and anecodes both amusing and thought provoking. I asked him at the time what the story was behind the rumours of his death (which had circulated in the mid-nineties), and joked that we were getting tired of celebrating his death. Although at times I disagreed with his approach, I always admired his playful spirit and his striving to propagate a wider understanding that, as the Zen Buddhists suggest "we are the master that makes the grass green". His books were 'gateway texts' into my love of philosophy, and I always admired his ability to stretch his mind so wide that no-one could see the edges. Possessed with a ruthless optimism, a fanatical zeal for freedom of thought, and a sense of humour both wicked and charming, Robert Anton Wilson leaves behind a diverse collection of books that will surely be enjoyed by generations of alternative thinkers to come. My sympathy to his family, and I promise to keep the lasagne flying. I'm very sorry to report that earlier today, Steve Irwin, the infamous "Crocodile Hunter", died owing to an unfortunate accident while diving on the Great Barrier Reef. A tireless campaigner for ecological issues, in particular the importance of protecting top predator species such as sharks and crocodiles, Steve was one of the great conservationists of the twentieth century. His television shows took millions of people into his unique world, showing hundreds of species in their natural habitats, demystifying what is usually sensationalised, and revealing the natural world in all its beauty and strangeness with an honest and distinctly human editorial touch that I have always admired. My sympathy goes out to his wife, Terri, and his two children. He will be missed. Earlier this week, I received news that my father had suffered an accident while on holiday in France. He’d fallen out of a loft, and suffered head trauma. He was in a coma in the hospital, but when the doctors ran their tests there was no sign of higher brain functions. He’d already gone. He would have been seventy this December. It’s a shock of course, losing a relative always is. But in some respects, it’s not as distressing as it could have been. We all have to go sometime, it is inescapable, and I feel he would rather have gone like this – in a random accident, being the same indomitable spirit he had always been – than to fade away in a hospital. We had to go through that when my mother died of stomach cancer, and it was especially hard for him as he wasn’t raised to share emotion openly. As a young man, he worked with seaplanes and boats while stationed with the RAF, first in Ireland working with Sunderland flying boats before being stationed in Singapore in the late 50’s. At the time of the Cuban missile crisis he was in Gan, a tiny island in the Seychelles, south of India; a refuelling base for the southern ocean passage. It was all a grand adventure to him. When he mustered out, he took a number of different jobs before meeting my mother and starting a family. We moved to the Isle of Wight before I was one year old; they were building Stansted airport near where we lived, and my parents didn’t want to live in the shadow of jet planes. So I grew up in the bucolic splendour of a small rural island, just thirty miles across. It undoubtedly secured my love of nature, and as a family our house was overrun with animals – at one point we were living with more than two dozen different species. As a coastal tourist destination, we had many amusement arcades and piers when I was a young boy. Several burned down in mysterious fires as I grew up; I guess it wasn’t as prosperous a living as it could have been. My Dad loved taking me to the arcades to play. He was in charmed admiration of my competence at videogames, which is a wonderful thing for a father to offer a son. He genuinely enjoyed watching me play arcade games, as they were too fast and demanding for him to enjoy himself. For several of my birthdays, he took me across to the amusement park at Southsea, just an hour’s ferry ride across the Solent. It was the site of the largest amusement arcade for hundreds of miles, and it was always a great pleasure to go and see the new games. I first saw the 1983 Atari Star Wars cabinet there – it was a sensation at the time, and it was several years before any of the Island arcades could afford one. My father was a Christian in the same manner as John Waite’s character of John Walton Sr in The Waltons – doctrine mattered little to him, and he was not a regular in Church, nor did he belong to any particular denomination. Rather, his Christianity defined his moral and ethical world. It encouraged him to travel to Africa in the early 1980’s to build hospitals, first in Ghana, and later in Upper Volta (now Burkina Faso). It supported him through the tougher trials of life. He was very proud of me for going to university, and my various degree courses; he came up to Manchester with my sister and Nan for my undergraduate graduation ceremony. And when, several years later, I was to get married in a field in the middle of nowhere in Tennessee, he and the rest of the family flew out for the wedding. I am so glad that both my Dad and my Nan were able to be there that day, along with so many of my friends (whose tent, incidentally, was struck by lightning a few hours before the ceremony). Thankfully, I don’t feel I had any unfinished business with Dad. He knew I loved him, I knew he loved me, even though he wouldn’t say something like that out loud. My wife and I had him up to visit a couple of times over the last few years, and he did some work on the house which was a great help to us and a cause of satisfaction for him. The last time he visited, he confided in me that he was struggling with getting old. He was still willing, but his body was no longer as capable as it once was. He still enjoyed life, but it seemed to me that he feared aging to the point of incapacity more than he feared death. Dad was an exceptional man, filled with an exuberant love for life and a playful spirit. I feel lucky simply to have known him. That he was my father was an immense blessing.